We all know that aloe vera has natural moisturizing agents and it’s used in many creams, lotion, face packs to get rid of dry skin. Applying aloe vera on dry flaky skin can make it nourished and hydrated. Aloe vera penetrates deep into the skin keeping your skin moisturized and glowing. It not only hydrates and nourishes your dry skin but the rich antioxidants also benefit your skin in many ways. Aloe Vera is used as beauty treatment since ages as it’s extremely effective and economical. Aloe Vera has antibacterial, anti-aging and anti-inflammatory properties. It can be consumed to get maximum benefits for health as well as for skin. Rose water is a natural toner that balances skin pH, unclogs pores and evens out skin tone. It also is a great skin moisturizer and hydrator. Add 2 tbsp. of fresh aloe Vera gel and a tbsp of tomato juice into the mixture. Mix everything well and then apply it on your face. Let it stay for 45 minutes then rinse off. This face mask is very good to brighten and whiten the skin naturally. Mask a small piece of papaya, it should be sufficient to cover your face and neck. Add 2 tbsp. of fresh aloe Vera gel into the papaya mixture and also add one tbsp. of honey. Mix everything well and then apply it on face and neck. Let it stay for 35 minutes, and then wash off. 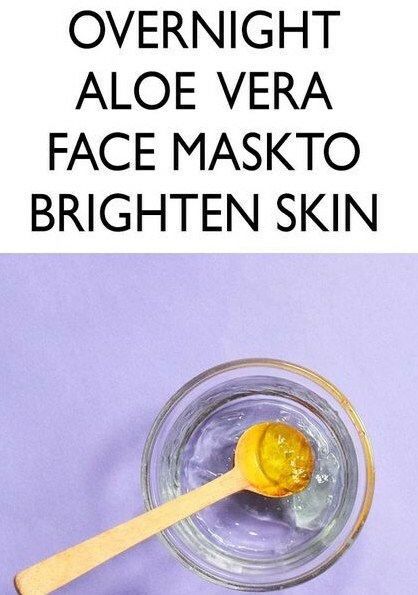 Papaya and aloe Vera together acts as an excellent tan remover and this mask also evens out your skin tone.